International Human Rights Day, December 10, marks the anniversary of the United Nations General Assembly adopting the Universal Declaration of Human Rights (UDHR) in 1948. This landmark occasion happened the day after the Assembly adopted the Convention on the Prevention and Punishment of the Crime of Genocide. These back-to-back dates were not coincidental, and they are inherently meaningful to any educator who teaches about the past; particularly for Holocaust educators, since both of these documents have their roots in the Holocaust. In our current climate, this anniversary feels somehow extra pressing. Almost daily, we are assaulted with news of human rights violations and instances of what could be called genocide—from the Rohingya in Myanmar to the continuing violence in Syria—and it is easy to feel overwhelmed. As educators, we have faced the challenge of teaching topics related to violations of human rights, and genocide in particular. We can easily imagine that many of you struggle with the balance between worrying about the emotional toll of the subject on your students, while also knowing the critical importance that teaching about genocide can have in the prevention of future atrocities. We know that when teaching about the Holocaust, larger questions surrounding genocide will inevitably arise in the classroom. For the past several years, the Echoes & Reflections team members have heard teachers express a need and desire for a path forward to explore this broader topic, and we are pleased and proud to be able to now provide that guidance. The story behind our involvement with Echoes & Reflections’ new educator resource, “Teaching about Genocide,” is deeply personal. The authors of this post met as graduate students and fostered a friendship that has spanned nearly two decades and has included research trips on three continents. We have taught at the university level and led educational experiences at sites of genocidal violence. Our experiences in Rwanda and at sites of Holocaust remembrance in Europe have steeped us in a deep sense of responsibility to continue to educate about the dangers of unchecked hatred and violence. In the words of Paul Parks, an African-American WWII veteran who witnessed Dachau after liberation and played an active role in the American Civil Rights Movement, “I know what the end of bigotry looks like…from the standpoint of the bigot…I’ve seen it, and I don’t want that ever to happen again.” (To hear more from Paul, explore the Survivors and Liberators unit that features his experiences during WWII or IWitness to watch his testimony). We have seen what “the end of bigotry” looks like; we have seen the powerful effect that learning this has on students’ and we know that it is complicated, delicate work. We urgently feel the importance of supporting fellow educators as they engage in these topics with their students. Given our history, we jumped at the chance to work together on the development of a resource to help teachers approach the subject of genocide in the context of their students’ Holocaust education. Getting to work with a good friend and colleague on a topic of critical importance to your value system and to the world was a gift, yet,we weren’t sure how to begin. So we came to you. This past spring, we conducted a nationwide survey that resulted in responses from nearly 200 teachers from 25 states plus the District of Columbia. We asked you—the Echoes & Reflections community—what you needed. In addition to seeking introductory materials about the concept of genocide and how to frame that with students, we learned that age-appropriate, primary source-driven content, including brief videos, would be effective and welcome classroom tools. The resulting resource uses Dr. Gregory Stanton’s model of the “Ten Stages of Genocide” to help you navigate this topic with students. 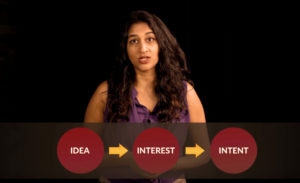 The site includes a number of resources, including more than 20 clips of audio-visual testimony from survivors of the Holocaust and genocides in Armenia, Cambodia, and Rwanda, as well as brief overviews of the genocides discussed in the testimonies, and a graphic organizer to help students engage with the testimonies from survivors of genocide (for other tips on how to effectively use testimony in your instruction, explore this document). We hope that as teachers approach International Human Rights Day, this new Echoes & Reflections resource can serve as another helpful source to continue to do the good work that you do every day—teaching about the past to build a better future. 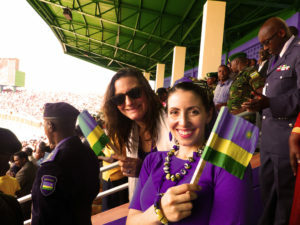 About the Authors: Dr. Amy Carnes is the Program Manager – Development at USC Shoah Foundation and Dr. Emily Musil Church is a Historian of Africa and Human Rights at USC Shoah Foundation.